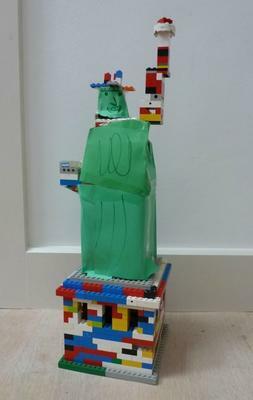 Our son Ben is completely in love with America, although he has never been, we have a lot, and he is completely in love with the Statue of Liberty. 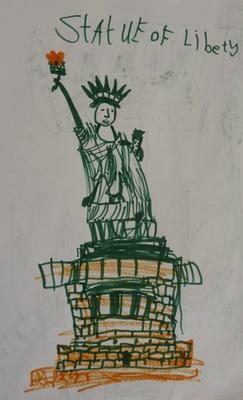 Ben has just turned 6 and has recreated the Statue of Liberty in many ways! 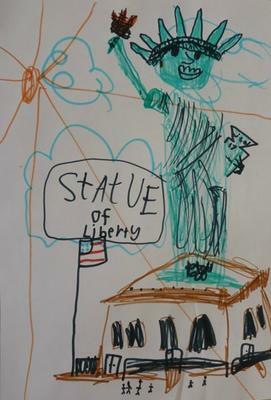 well done ben and happy birthday on being 6!